Pacific Rim is designated by the Private Training Institutions Branch and has been offering individual courses and certificate programs in early childhood development since 1989. In 2011 Pacific Rim was granted BC's Education Quality Assurance (EQA) international designation. There are three Certificate Programs and a Diploma Program in Early Childhood Education that are offered via distance education. 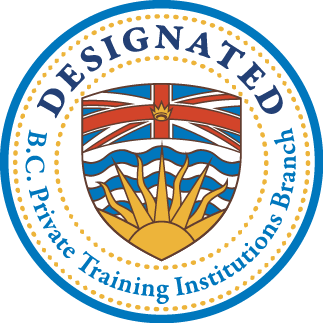 Training is recognized by certification authorities in British Columbia, Alberta, Saskatchewan, Manitoba, Ontario, New Brunswick, Nova Scotia, Newfoundland and Labrador, Prince Edward Island, and Yukon. These Programs are offered via distance education with a required practicum component which can be arranged in the student's community if a qualified centre supervisor is available. Programs are designed for individuals who wish to pursue a career as an early childhood educator in a day care centre, preschool or family day care home. Individual courses are also available to parents and those that need to qualify as an assistant in a child care facility. Pacific Rim Early Childhood Institute is committed to the belief that children should have an opportunity to participate in quality early childhood programs with trained staff. To meet this objective, training programs have been developed to prepare students to work with infants, toddlers, preschoolers and children with special needs. These programs are offered through distance education and provide students with the flexibility to take courses while still working, or raising children at home.